The clinicians at the Spine Centers at LifeBridge Health specialize in comprehensive management of degenerative and acute conditions of the spine. The center’s multidisciplinary team—neurologists, physiatrists (pain-management specialists), neurosurgeons, physical therapists and occupational therapists—treats adults who have pain in the back, neck, and upper and lower extremities that is caused by injury, illness or aging. Radiologists and social workers complement the team. These dedicated specialists help patients to achieve the best possible outcomes so they can enjoy normal lifestyles. Physicians at the Spine Centers use the latest technology to thoroughly evaluate each patient. Following are some of the diagnostic tools used to determine the underlying cause of the condition. MRI (magnetic resonance imaging), CT (computed tomography), ultrasound, EMG (electromyography), NCS (nerve conduction studies), diagnostic injection procedures and myelography are some of the diagnostic tools used to analyze and define a patient’s exact disorder. After diagnosing patients’ conditions, the Spine Center’s neurologists and physiatrists develop individual treatment plans that are targeted to produce the best results. Treatment plans range from nonsurgical therapies (conservative management) to state-of-the-art surgical treatment. Nonsurgical options include education and counseling, physical therapy, exercise at home, medication, epidural injections, nerve root blocks and acupuncture. The center’s outpatient programs help patients to manage their back and neck pain and regain as much movement as possible. Under the direction of certified physical and occupational therapists, patients patients use various exercises and, if necessary, special equipment to help them recover maximum function. Spinal tumor ablation allows physicians to offer pain relief to patients with metastatic vertebral body tumors in a minimally invasive procedure without the use of ionizing radiation. 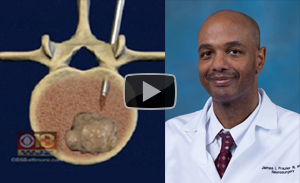 Spinal tumor ablation is a pain-relieving procedure. It kills tumor in the bone, but it is not a cure for cancer. This system cannot be used for lesions in the cervical spine or for patients with pacemakers or other electronic implants. The Spine Centers offer referring physicians easy access to the spine team, a multidisciplinary review of complex spine cases, comprehensive care with state-of-the-art technology and private patient rooms with overnight accommodations for family members. Fellowship-trained specialists at the Spine Centers provide the highest quality care for all spinal disorders. Specially trained nurses and other staff members provide instruction and support to patients to ensure that they continue to benefit from treatment. If patients require surgery, we employ the most minimally invasive approach possible so that patients have less blood loss, reduced risk of infection, shorter hospital stays, faster recoveries and the best outcomes. pain for patients with cancer. 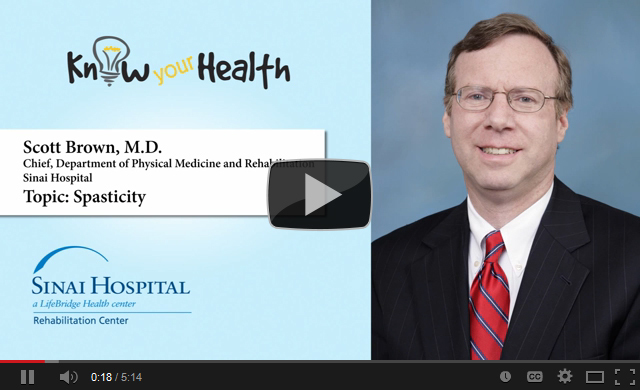 clip, Dr. Brown discusses spasticity. 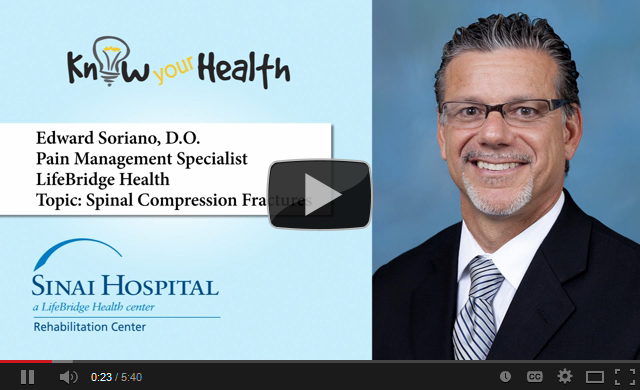 clip, Dr. Soriano discusses spinal compression fractures.